What is it about horror games that garner such crazy cult followings? Is it the crazy adrenaline rush you get from running full pace away from a ravenous horde of zombies? Or perhaps the heightened limits of terror as you nervously hide in an unsuspecting cupboard praying to whoever will listen that the murderer stalking you doesn’t open the door? Whatever your reason for delving into horror games, one thing’s for sure, horror in VR is next level crazy. Here’s 5 titles that we hope have a VR version coming soon. 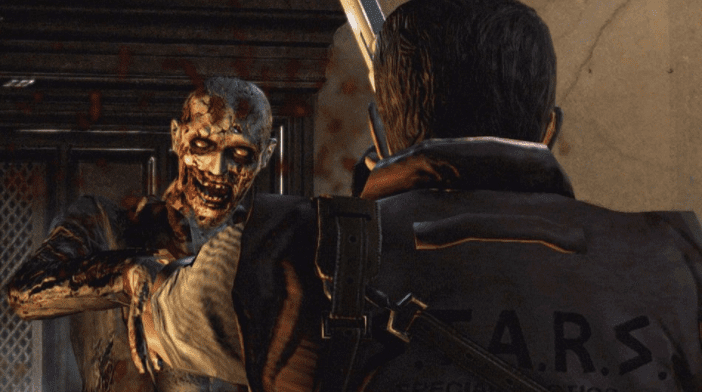 It’s impossible not to have Resident Evil on a horror game list. It’s the quintessential zombie game that defined the survival horror genre and taught you the importance of managing an inventory, solving puzzles, and to always, always, always check the bodies on the floor. The story revolves around 2 teams of S.T.A.R.S (Special Tactics And Rescue Services) that are sent to the outskirts of Raccoon City to investigate murders of a cannibalistic nature. When the first group fails to report in, the second team is sent to pick up the pieces…literally. The now famous characters; Jill Valentine, Chris Redfield, Barry Allen and Albert Wesker find safety from rabid zombie hounds in a creepy old mansion, and well, you know the rest. While the original 1996 game has been re-released many times, a VR version of the original game would truly redefine this classic game. I mean imagine experiencing that scene with dogs jumping through the windows in VR; or seeing just a small glimpse of a zombie as the lightning flashes in the hallway, only for it to disappear a second later into the pitch black darkness with nothing but the hungry groaning to keep you company. Just dwell on that while I board the nope bus all the way to Nopington palace. Released in 2013, Outlast follows the story of investigative journalist. Miles Upshur, who gets a tip off about something untoward happening at Mount Massive Mental Asylum. Upon his arrival he’s confronted with a terrifying scene of mutilated corpses and ruination. A dying police officer tells him that the deranged inmates are running free and killing people, but with his exit now cut off, Miles proceeds into the lion’s den armed with only a flashlight and video camera with night vision. However, it was these tools, and a complete lack of weapons that shot Outlast to the top of horror game fanatics hit list. That’s right, no weapons. So if you see a crazy person running around baying for your blood, you gotta hide, or channel your inner Usain Bolt and run like hell. 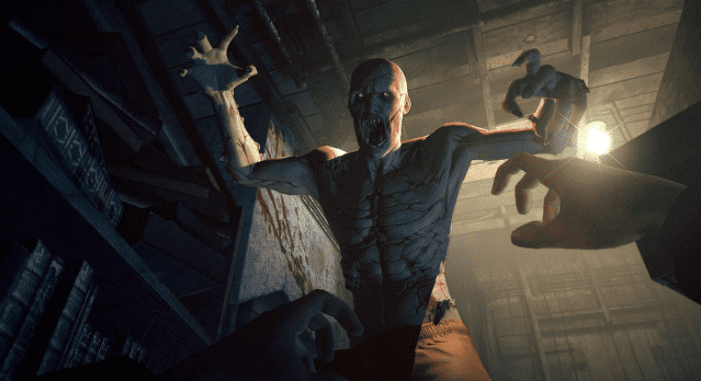 As it forces you to focus on stealth and avoiding conflict, instead of tackling it head on, Outlast would make for an unforgettable VR experience. Just don’t expect to ever feel safe in your own home. Like, ever. During your violent adventures, you come across Haitian gang leader and mastermind, Cassandra, Irish Mob leader, mechanic & alcohol enthusiast Thomas Burke, and the protagonist of previous Mafia game, Mafia 2, Italian Gang leader and all round bruiser, Vito Scaletta. You begin an uneasy alliance with all three to combat the greater evil of Sal Marcano. Each time you conquer the head of a racket, you must assign it to one of these three gang leaders, ensuring that you keep each of them satiated with enough territory so they don’t go rogue. Imagine stepping into the shoes of Isaac Clarke as you struggle through the necromorph riddled corridors of the USG Ishimura, desperately seeking the answers to your escape. Released to critical acclaim in 2008, Dead Space is set in the year 2508 when your ship, the Kellion, responds to a distress call sent from a mining vessel currently stationed on the planet, Aegis VII. 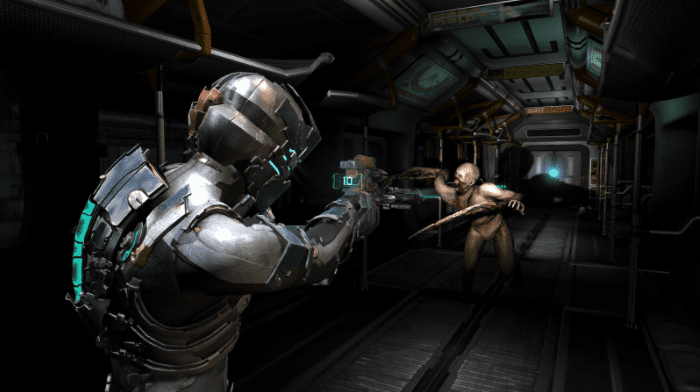 With a captivating story line intertwining religious agendas, covert operatives, one super agitated mind coalescence, and enough jump scares from mutated space zombies (read: SPACE ZOMBIES) to give you heart palpitations next time you need to open any door, anywhere, ever, Dead Space would make an absolutely terrifying addition to the VR roster. 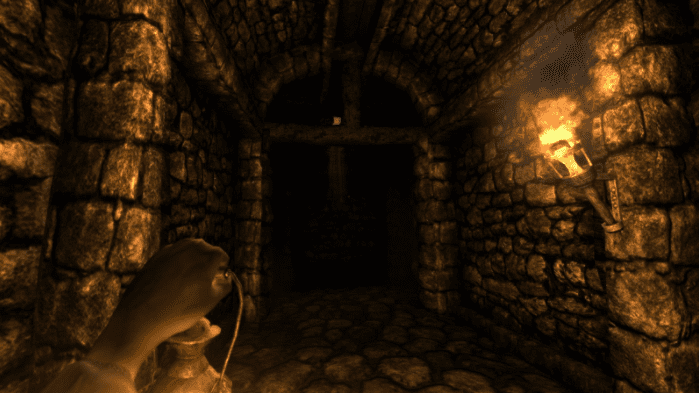 Perhaps a little less “mainstream” recognisable than the others on this list, Amnesia: The Dark Descent is one bone-chillingly creepy adventure into the depths of a castle filled with murderous “experiments”. Set in 1839, you awake to a note you’ve left to yourself detailing that you willingly removed your memory and are now somewhere in the Brennenburg Castle, with the mission to reach the inner sanctum of the castle and kill the Baron, Alexander. Like Outlast, you don’t carry any weapons at all, so you need to stay out of sight from enemies if you see or hear them coming. That’s not all you have to worry about though. During the game, you need to manage your sanity. Darkness, witnessing distressing scenes, and of course the threat of enemies patrolling the hallways all trigger the loss of your sanity, which you’ll need to continuously resolve if you want to stand a chance of completing your mission. Situated 15 years after the disappearance of the spacecraft Nostromo, the one with Ellen Ripley (aka Sigourney Weaver from the 1979 movie) on board, her daughter Amanda Ripley discovers that the flight box recorder has been discovered and is being held on the Sevastopol Space Station. Subsequently, she’s invited on board the Torrens, and heads off to investigate. Arriving at the space station, they’re unable to communicate or dock, so initiate a space walk. Right on cue, something goes horribly wrong and you just manage to board the space station, but are separated from your team. Now you can enjoy exploring a near abandoned space station full of psycho-androids, paranoid survivors eager to eliminate competition for rations, and last but certainly not least, a super alien that’s crawling around waiting to violently murder you. With few weapons at your disposal, you’ll soon become accustomed to hiding in cupboards and creeping slowly around to avoid the multiple things trying to hunt you down. 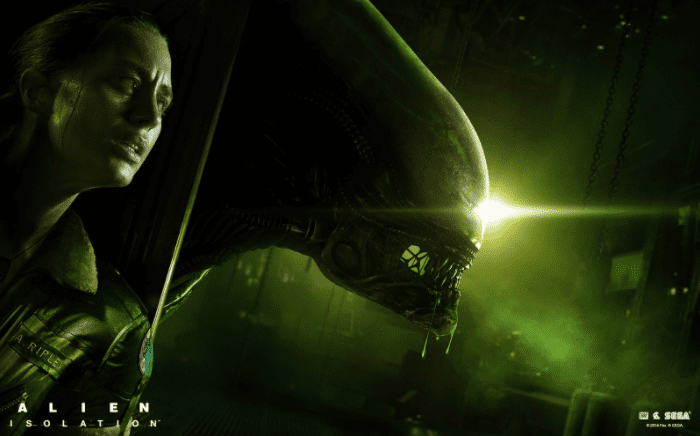 With enough jump scares and high tension moments to keep Depends in business forever, a VR version of Alien: Isolation would allow you to immerse yourself in its stunning visuals, while providing ample nightmare fuel.